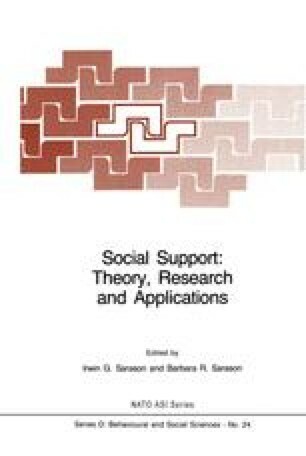 Although the social support literature is growing rapidly, this field of inquiry like so many others is marked by fuzziness, a multitude of definitions of its major variables, and a lack of information about which characteristics are likely to be typical of those high or low in social support (Heller, 1983; Sarason, Sarason, Hacker & Basham, in press), Another unclear area concerns the effects of socially supportive interventions. What constitutes an effective supportive intervention? What are its important elements? Whom does it help? Is it helpful to everyone or only to those individuals who are lacking in social support?